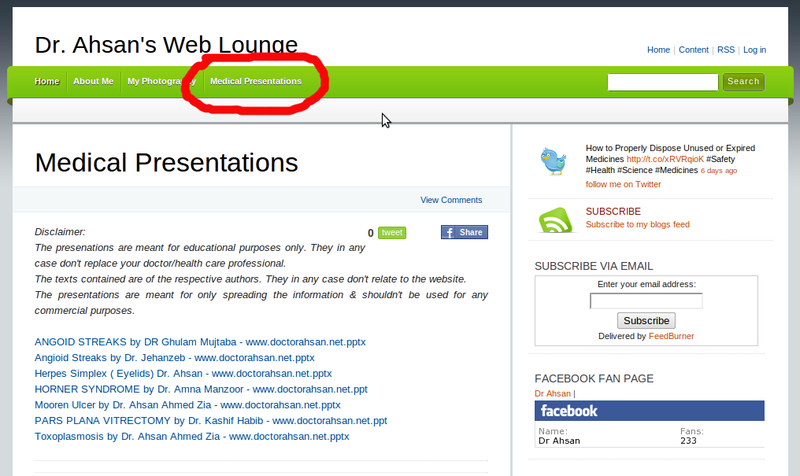 A section containing Medical Presentations has just been added to the Lounge & will be updated regularly. It will be containing presentations in Microsoft Powerpoint format & will be mostly related to Ophthalmology. They will be freely downloadable for everyone. 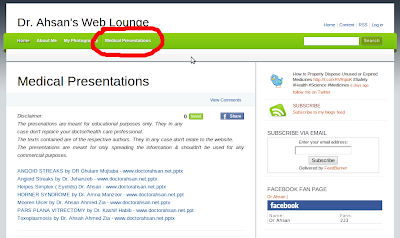 If anyone wants to share their presentations, they can contact me at doctorahsan[at]live[dot]com.